It’s no surprise that all of us here at HT love the art of cinema and it goes without saying that we’re big fans of documentary films as well. One documentary that’s been causing a ton of buzz recently is APOLLO 11, which we’re excited to be presenting March 23rd to March 28th. This isn’t your standard documentary about the moon landing; this is a cinematic event that’s been fifty years in the making! The entire film was assembled from a newly discovered trove of 65mm footage and more than 11,000 hours of uncatalogued audio recordings. APOLLO 11 takes us straight to the heart of NASA’s most celebrated mission and immerses us in the perspectives of the astronauts, the team in Mission Control, and the millions of spectators on the ground, as we vividly experience those momentous days and hours in 1969 when humankind took a giant leap into the future. One of our staff members at HT got to check out the film at the Sundance Film Festival before it had its general release and they were blown away by not only what they were seeing, but the energy and enthusiasm of the audience that was also viewing the film. Even if you’re not into NASA, this film is truly a remarkable vision to behold and an essential document for every human being to witness. 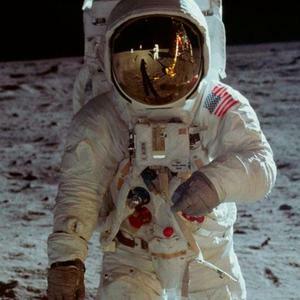 Be sure to check out showtimes and tickets here for APOLLO 11! We can’t help but agree with him and Hopewell Theater has been proud to show a variety of critically acclaimed documentaries over the past year such as THREE IDENTICAL STRANGERS, RBG, and this year’s Best Documentary Oscar winner FREE SOLO. We also pride ourselves on showcasing documentaries that aren’t as well known with our “Art of Living Well Series.” Just this past week we had a packed and passionate crowd watching AWAKE: THE LIFE OF YOGANANDA, which was the story of the Indian yogi and guru, Paramahansa Yogananda, who came to the West in the 1920s to teach yoga and meditation. When you see a documentary here with us then you’re guaranteed to be enlightened, challenged, and learn a little more about the world.